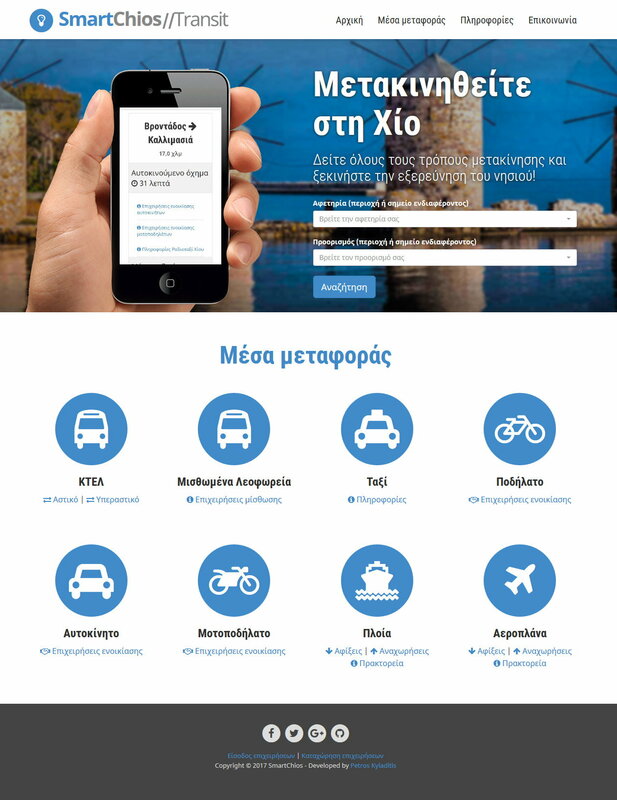 The Transit site/web app of the SmartChios project. Get transportation info, time and guidance for all places of the island. Find transportation businesses which can be used for your trip.